Lock in a great price for Karolineburg Manor House Hotel – rated 8.5 by recent guests! Such a lovely hotel! The staff was so friendly and helpful! If you have to stick to a certain diet like I do then just let them know in advance and they will provide you with delicious food! The breakfast was amazing! We had a room with a private sauna and it was cosy and so clean! We would come back! The upgrade option was most welcome and well priced. The staff were most helpful and it was nice to be shown to our room and have all the things described to us. The loction was excellent and very close to all the sites we needed to visit in the town. We were upgraded to a room with a sauna which was also quite spacious. Breakfast was in main house, food excellent, surroundings amazing. Charming place, with history and very nice location, Breakfast was great and staff very firendly. Very nice and comfortable hotel. I liked upgrade to better room in main house and sauna in room. Hotel has very nice atmosphere and breakfast was just adorable. It is not often that in breakfast every each detail is thoroughly thought out. Thank you very much, kiitos! Nice & cozy rooms. Kind and helpful Team which made the stay really pleasant. The hotel is located in a quiet area and really close to the centre as well. The location and staff. Gluten free options at breakfast. It was inexpensive and fairly clean. Breakfast was okay, nothing outstanding but satisfactory. We would stay there again. We were looking for an inexpensive place to stay with breakfast and this totally satisfied that need. 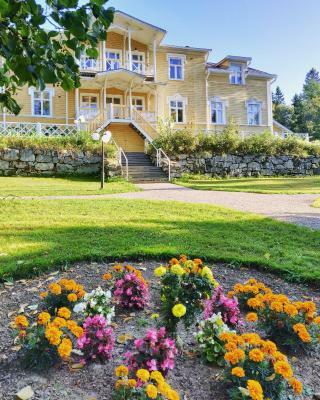 Surrounded by a pretty garden along the Kajaani River, this historic property is 1,950 feet from Kajaani town center. 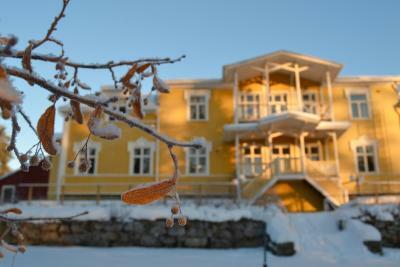 It provides a garden terrace, free sauna access and individually decorated rooms. Set over 3 buildings, Karolineburg Manor House Hotel offers rooms with a flat-screen TV, fridge and fan. Some feature a private sauna. Guests can relax or enjoy yard games in Karolineburg’s garden, which also has BBQ facilities in the summer. A daily breakfast is served in the main building. Guests can also access a shared sauna. 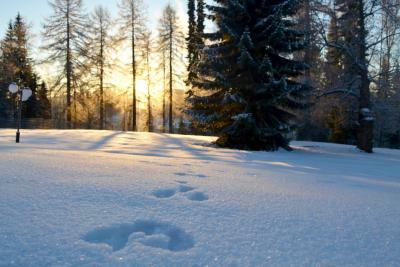 Staff can help arrange a variety of activities, including cross-country skiing, cycling and hiking. There are 3 golf courses within 30 minutes’ drive. The historic area around the manor and the building itself are protected by museum authorities. 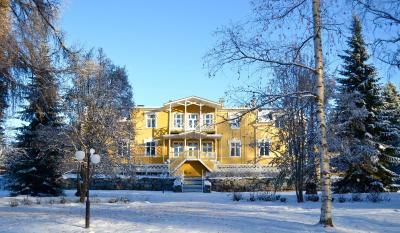 This property is also rated for the best value in Kajaani! Guests are getting more for their money when compared to other properties in this city. 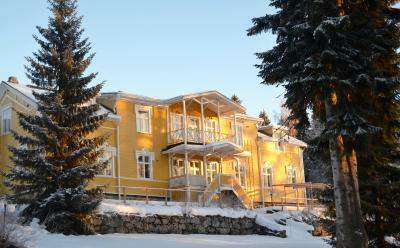 When would you like to stay at Karolineburg Manor House Hotel? Set in an annex 33 feet from the main building, this room includes a mini-bar, flat-screen TV and ironing facilities. Set in an annex 33 feet from the main building, this spacious room with a sauna features modern décor, a mini-bar and flat-screen TV. Located in the manor building, this spacious suite with a sauna features 2 bedrooms and a living room with a flat-screen TV and mini-bar. Also known as the Karoliina Suite, this suite features a sauna, mini-bar and balcony with a view of the garden and Kajaani River. Located in a manor building, this room includes a mini-bar, flat-screen TV, ironing facilities and a private sauna. Located in the manor building, this twin room has a mini-bar, electric kettle and sauna. 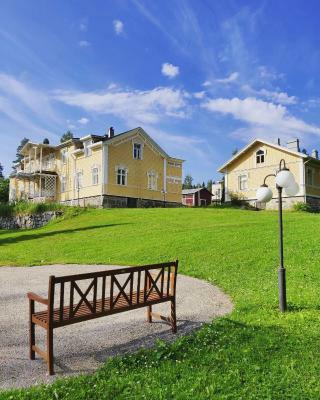 There where the the Manor House Karolineburg stands today, was originally the home of a croft named Joutava, that belonged to the stead of Tuovila in the early 19th century. 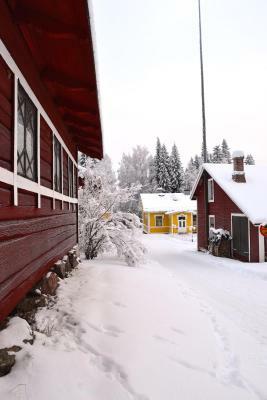 In 1835, the Kajaani Court District Judge Frederik CALAMINIUS acquired the area. In 1836 he built a large house with its parlours and rooms. The main building, which Calamnius built the following year, hosted seven rooms, a kitchen, a porch, a cloakroom and a wine cellar, in addition to the hall. Calamnius built the following year. 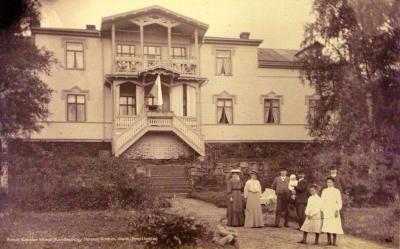 He named the house KAROLINEBURG after his wife Karolina STENROTH. After the death of Calamnius, Karolineburg has changed ownership several times, and ended up in the hands of a private entrepreneur in the turn of the 1980s and 1990s, who restored the mansion and its setting to manor hotel. 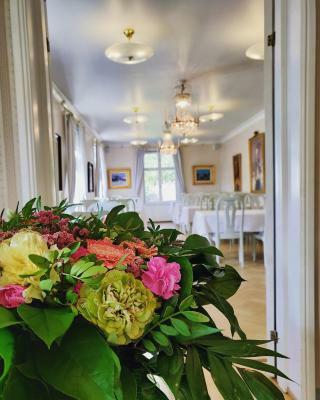 The hotel has been recently renovated in 2013, but the hotel still emits an old-fashioned atmosphere, and offers comfortable rooms for different needs in a peaceful setting, just a stone's throw away from the center of Kajaani. As a small hotel, the most important thing for us is to ensure that every client receives personalised service, because for us, the customer is always number one. Welcome! House Rules Karolineburg Manor House Hotel takes special requests – add in the next step! Karolineburg Manor House Hotel accepts these cards and reserves the right to temporarily hold an amount prior to arrival. If you expect to arrive outside reception opening hours, please inform Karolineburg Manor House Hotel in advance. Please note that the mini-bar does not contain alcohol. Please inform Karolineburg Manor House Hotel of your expected arrival time in advance. You can use the Special Requests box when booking, or contact the property directly using the contact details in your confirmation. The bathroom needs to be updated and a bit repaired. There is nothing that we did not like about our stay so this question is not really applicable. Very friendly staff, excellent breakfast! Litlle bit indoorair problem. I was staying the White House ground floor. There is concrete wall insulated inner side, which can cause moisture inside insulation in long term. Smell in room is not very good. Could have used a desk and more outlets near it. The receptionist was outstanding on our arrival. Dustballs under the bed, so wasn't cleaned properly. The room was next to the main door so we could hear people coming and going. Our room was quite small and looked a bit dated, but maybe that's because we had the cheapest room available?